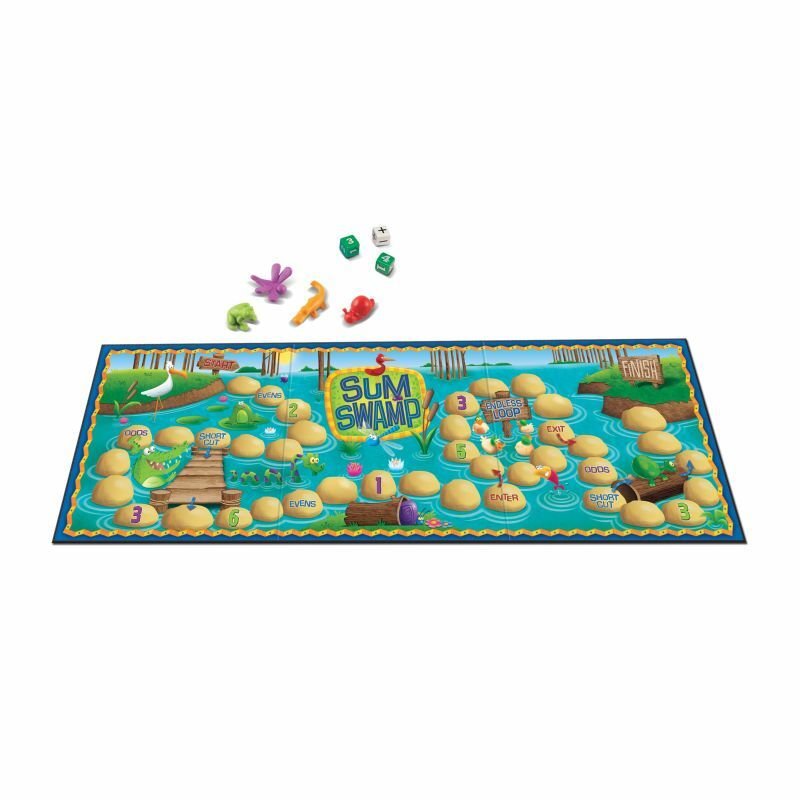 Same award-winning game play with a fresh, new look. 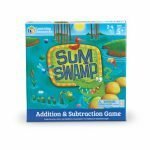 Journey through the swamp to the finish by adding and subtracting numbers on the dice. 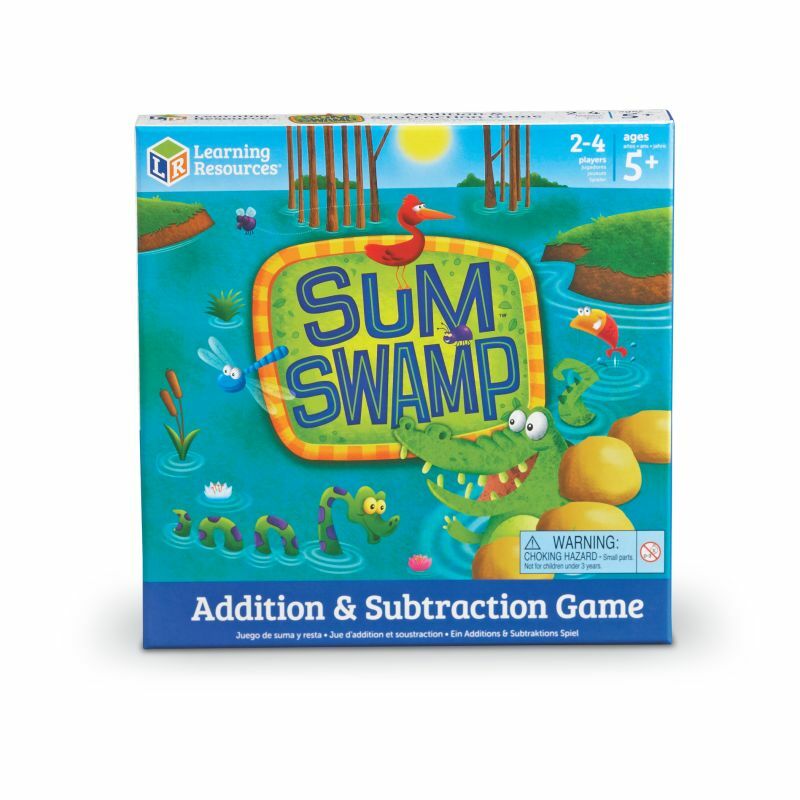 Includes game board, 4 swamp creature game pieces, 2 number dice, and an operations die. Board measures 27¾”L x 9¼” H. For 2–4 players.